Depending on the application, the ability to accurately measure flow can be crucial. If you’re mixing fluids, measurement errors could affect the quality of the product, causing waste and costing you time and money. The best way to prevent these kinds of problems is to invest in high-quality measurement devices like Oilgear flow meters in San Bernardino CA. Diverse fluid compatibility: Virtually any process fluid imaginable can be run through Oilgear flow meters in San Bernardino CA, provided that steps are taken to exclude entrained gases from measurement. For example, you could measure sea water, crude oil, fertilizer solutions, anhydrous ammonia, diesel fuel, and much more. Accurate measurements: Unique technology inside Oilgear flow meters in San Bernardino CA enable them to deliver more accurate measurements on high viscosity fluids than your typical turbine meters. Plus, they also have a high tolerance for overranging. 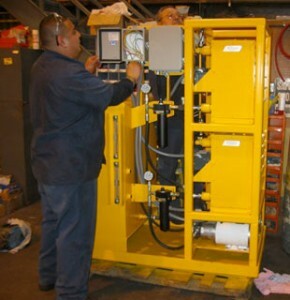 Oilgear flow meters in San Bernardino CA can be equipped with mechanical counters or LCD readouts. Either way, the readout is based on quality mechanisms you can count on for reliable data. Remote reading is possible and a universal hub allows you to easily update old meters with new registers. Need Help Choosing Your Oilgear Flow Meters in San Bernardino CA? 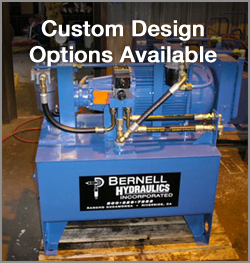 If you are unsure exactly which model of Oilgear flow meter would work best in your application, come to Bernell Hydraulics for help. Our staff includes some real hydraulics experts who can help you pick the perfect flow meter for your specific system requirements.